This past weekend, more than 100,000 music and sound enthusiasts gathered at the NAMM Show in Anaheim, CA. It’s the world’s largest music industry tradeshow with over 7,000 brands showcasing their newest products and cutting-edge technologies! BPM Supreme was there to capture all of the gear releases and announcements. Keep reading for highlights from the show and check out our recap video featuring appearances by DJ Brace, DJ Rafik, DJ Angelo, DJ Flip Flop, DJ Livia, DJ Quest9, DJ Fatfingaz, Sid the 3rd, Miles Medina, DJ Eliza May, Eri Azuma Luna, DJ Handroidz, Underkut, Swiftstyle, OddKidOut, and Jesse Dean Designs. 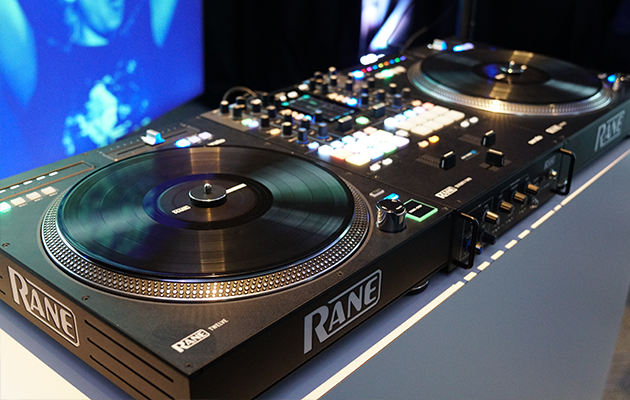 We couldn’t wait to see Rane DJ’s new Seventy-Two mixer and the TWELVE controller in person. Originally debuted at the 2017 DMC USA Finals, these battle-ready models strengthen Rane’s position as a major competitor in the DJ performance market. 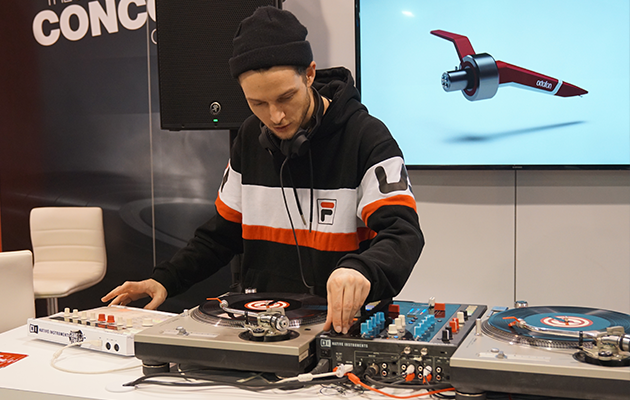 In honor of their 100th anniversary, Ortofon released the new Concorde Generation MkII series – 5 models designed from the ground-up featuring a variety of enhancements to fulfill the needs of serious vinyl DJs. 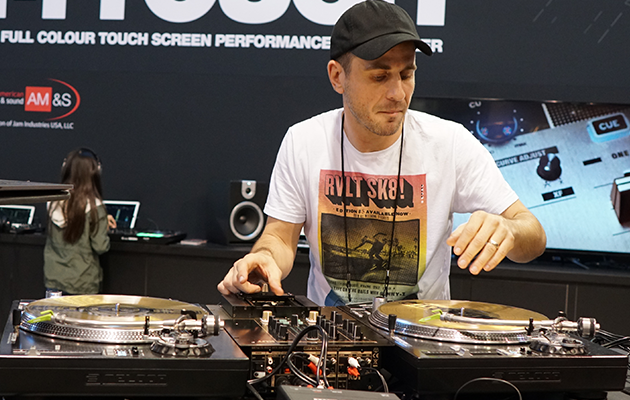 Read more about the Mix, DJ, Club, Scratch, and Digital models and check out DJ Rafik getting up close with them at NAMM 2018. Last week we asked if Phase could change turntablism forever. After getting a closer look at NAMM 2018, it’s safe to say the answer is yes. By eliminating the need for a cartridge or a timecode vinyl, Phase is reinventing timecode. It’s expected to be on the market by summer 2018 and will run between $200-$300 USD. Check out DJ Brace getting a feel for the new technology! 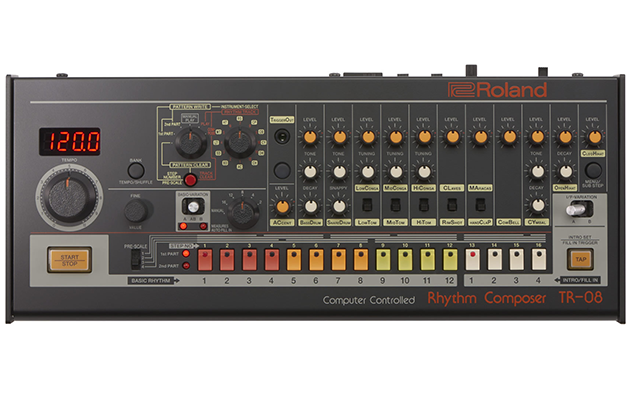 At NAMM, Roland announced software versions of their iconic drum machines, TR-808 and TR-909 Rhythm Composers, available through the Roland Cloud. This is the first time that these instruments have been reproduced as VST and AU plugins. The software versions will be available starting in February. 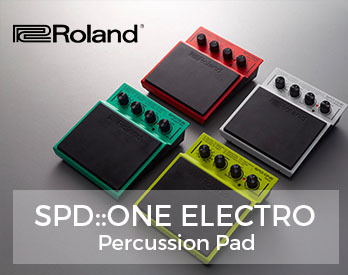 Check out everything Roland had on display this year at NAMM here. The volca mix is the long-awaited mixer for the volca series that Korg users are stoked about. This four-channel analogue performance mixer lets you construct a live setup combining multiple volca units. Watch this intro video to learn how the volca mix helps to unlock the maximum potential of the volca series. A pre-NAMM release, Pioneer DJ’s new DDJ-1000 4-channel controller was a highlight of the Pioneer booth. Made for dedicated use with rekordbox dj, the DDJ-1000 is Pioneer’s lowest latency controller to date, and has features like jog wheel displays, a highly durable MAGVEL Fader, 14 Beat FX, and 16 multicolored performance pads. 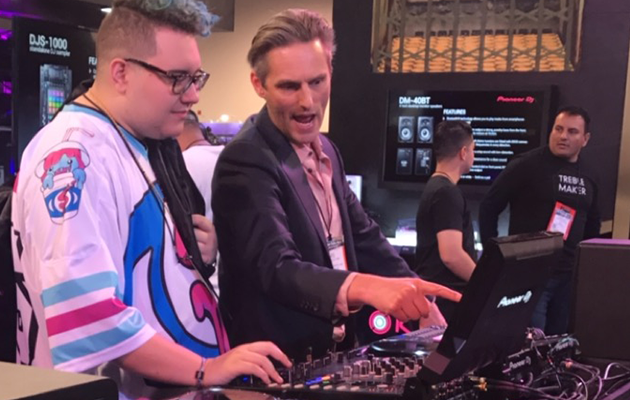 Throughout the four-day NAMM show, DJs like Chris Lake, Lost Kings, Zen Freeman, DJ Puffy, and DJ Slushii stopped by to check out all the gear. The new limited edition ATH-M50xBB is added to Audio-Technica’s M-Series line of headphones. 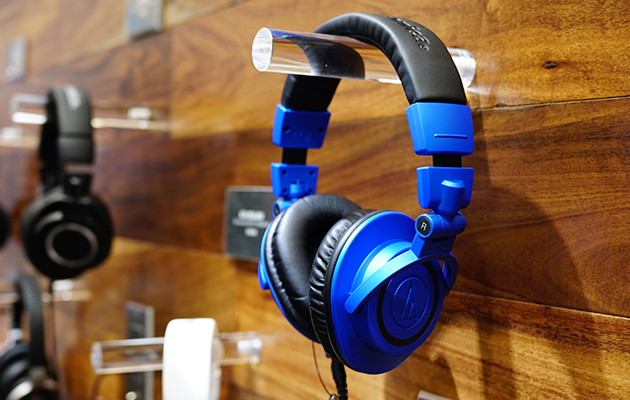 The attention-grabbing metallic blue earcups and black accents definitely caught our eye. This blue/black version joins two other headphones in the collection, ATH-M50x models in black (ATH-M50x) and white (ATH-M50xWH). If you’re feeling blue, you can scoop them in March for $169. 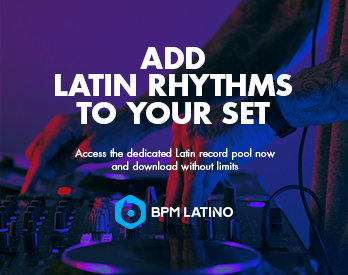 BPM Supreme announced last week that with every purchase of Reloop’s new KUT Mixer, customers will also get 90-days free to our record pool. We got to see the KUT mixer in action at NAMM 2018. DJ Brace and John Beeze personalized this one with a Fretless Fader. What do you think of the modification? 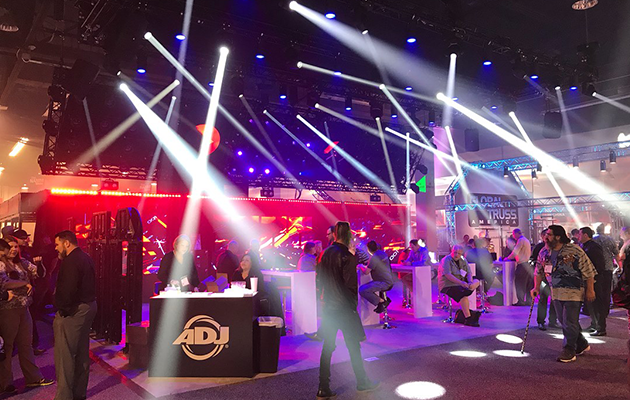 Just as NAMM was starting up, ADJ announced eight new products, including a powerful new moving head wash, potent blinder, ‘dim-to-warm’ pinspot, illuminated lighting stand, two new all white housing fixtures, new POW-R BAR and a new addition to the American Audio range of wireless mics. We were lucky enough to catch a demonstration and it was impressive to say the least. Head over to ADJ’s website to learn more and shop these products. The latest release of Pro Tools 2018 boosts the creative experience and accelerates workflows for greater collaboration with new features including Track Presets, retrospective MIDI record, MIDI editing enhancements, Playlist Comping enhancements, and much more. It’s available now so head over to Avid’s website to compare versions and find what’s right for your production needs. 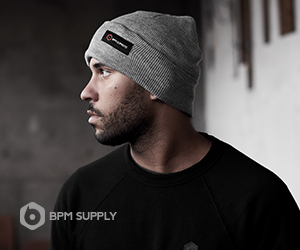 BPM Supreme gives you all of the latest DJ and producer news. Stay tuned to our blog, Facebook and Instagram for more. One of the coolest things was definitely the think phase device. VirtualDJ + Phase = march made in heaven.